 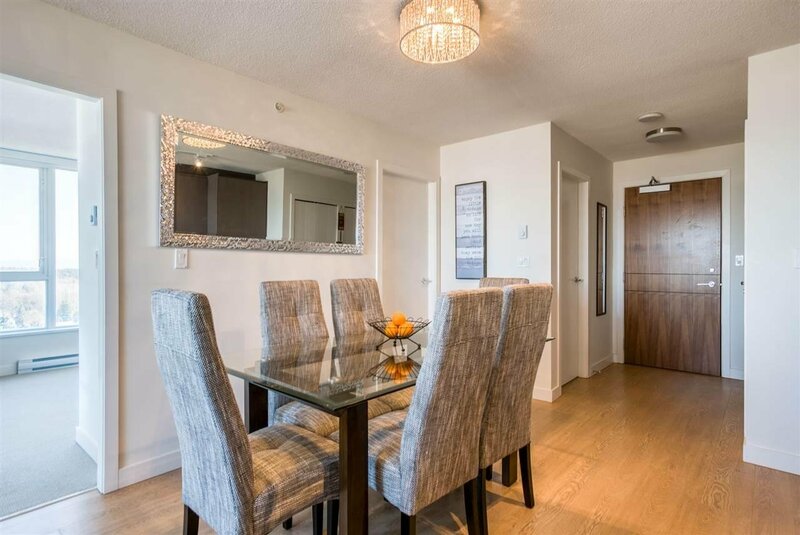 Luxurious, resort-style 2BR 1BTH condo. 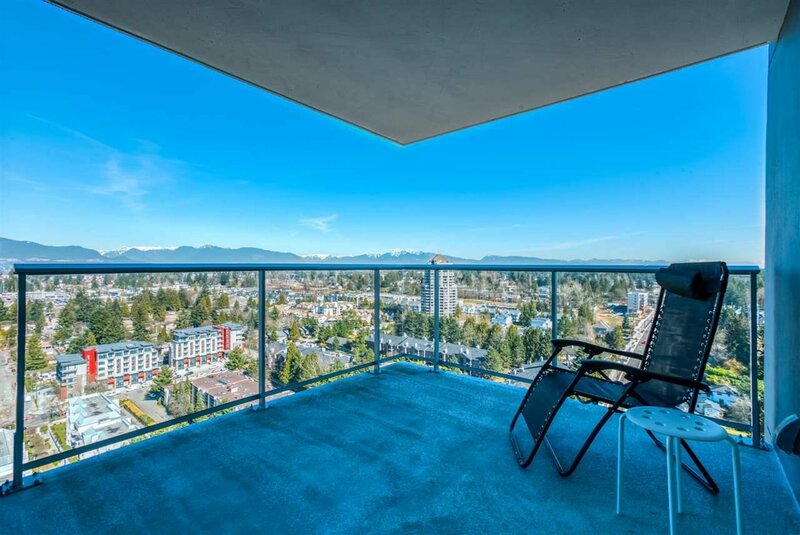 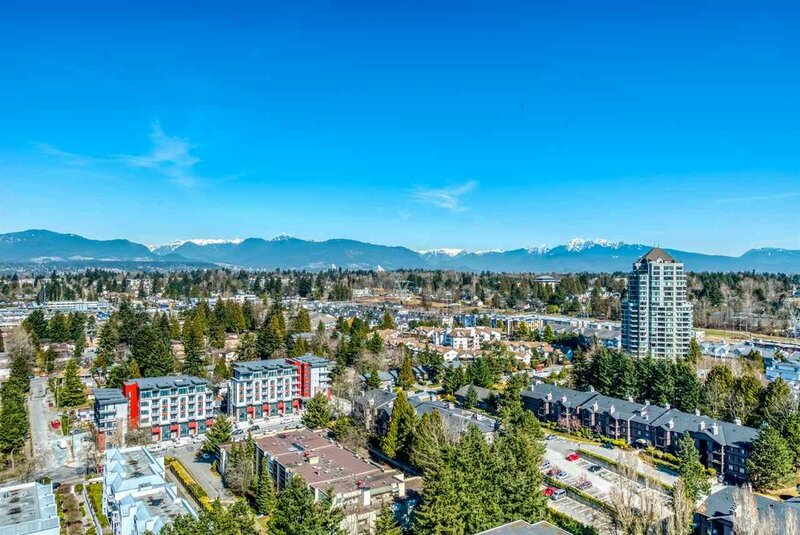 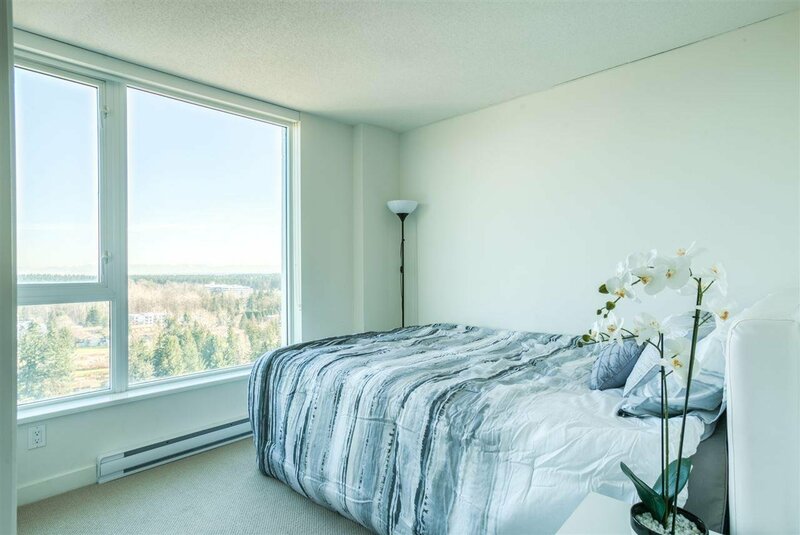 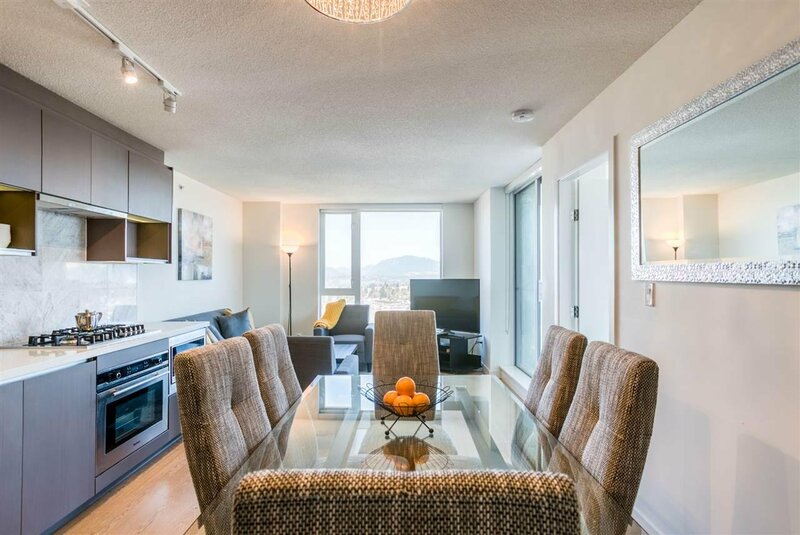 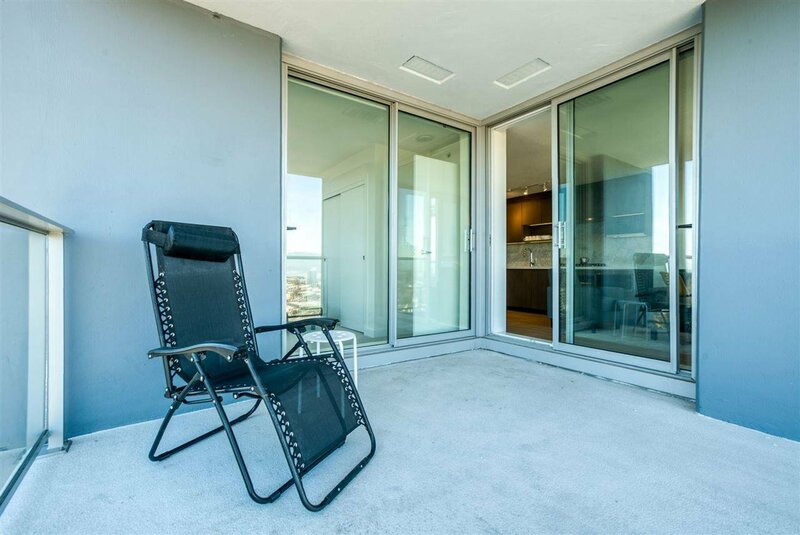 Stunning 180 degree city & mountain views greet you each morning through generous windows. 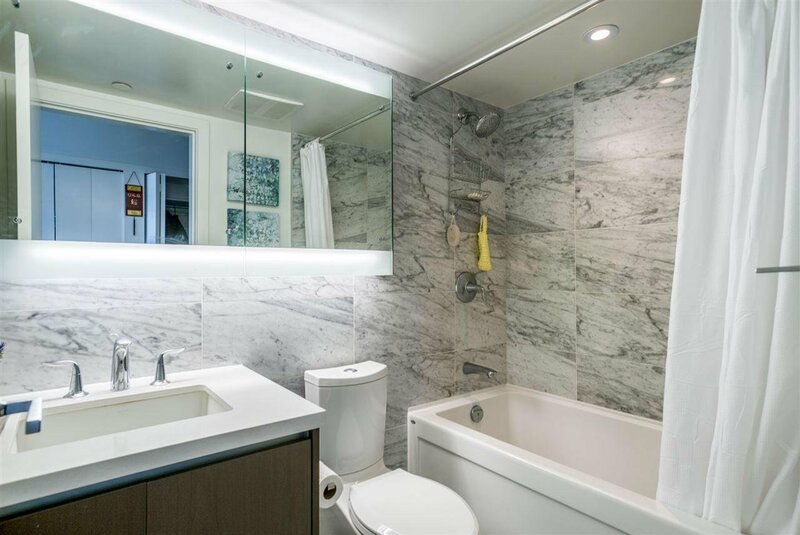 Prepare for the day in your spa-like bathroom & gourmet kitchen featuring marble tiled backsplash, under mount sinks & lighting, quartz counters & stainless steel appliances. 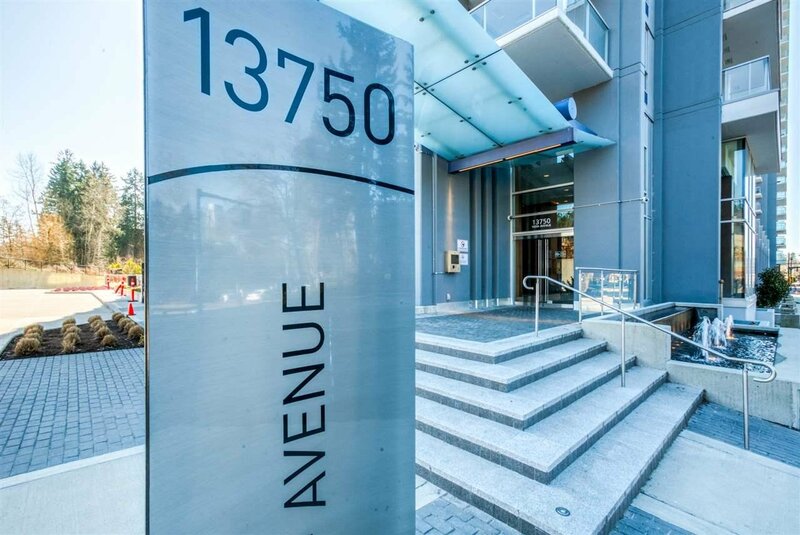 Indulge in all the extravagant amenities Park Avenue offers: concierge service, professionally landscaped gardens, yoga pavilion, fitness centre, tennis court, putting green or golf simulator. 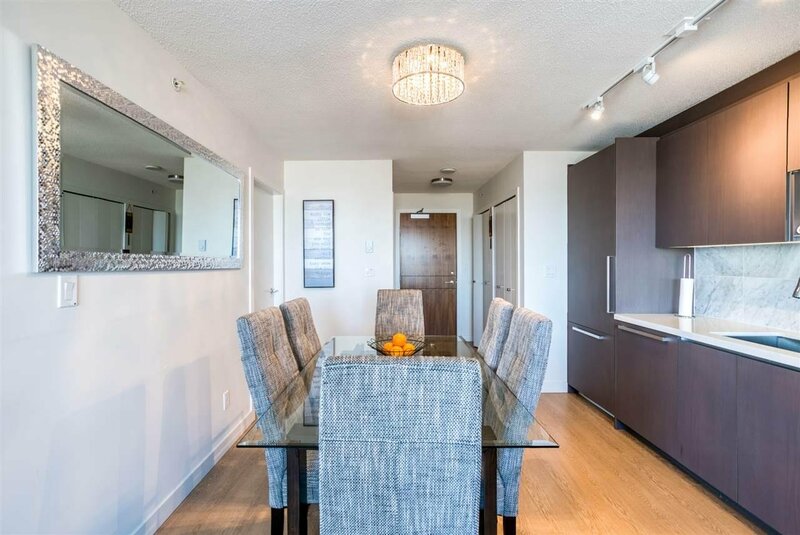 Lounge in a private cabana, swim in the lap pool with separate children’s corner, enjoy the pool house including kitchen, hot tub, steam room & sauna. 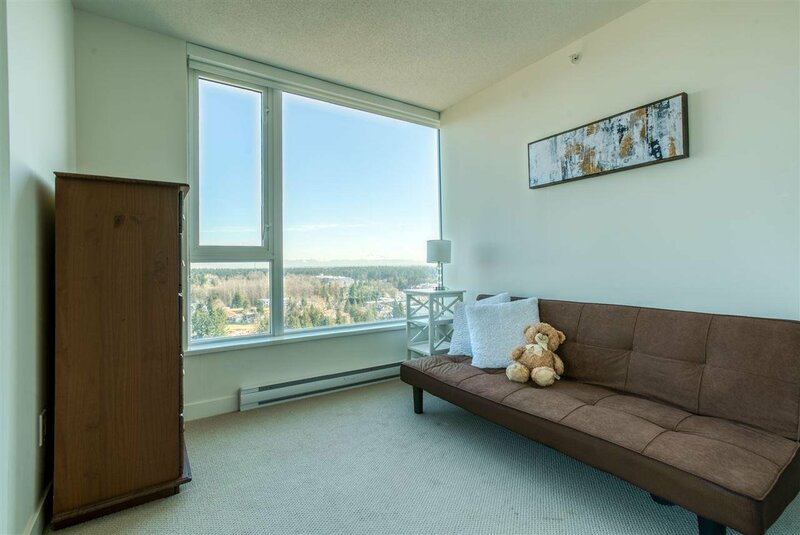 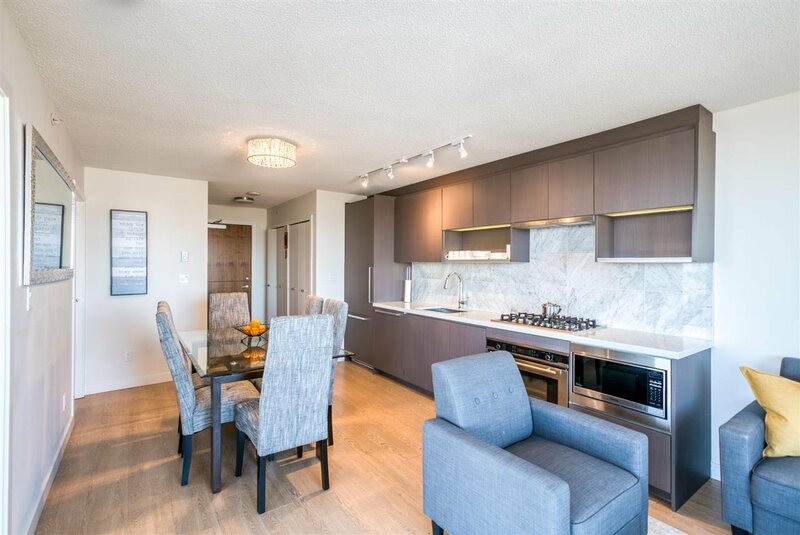 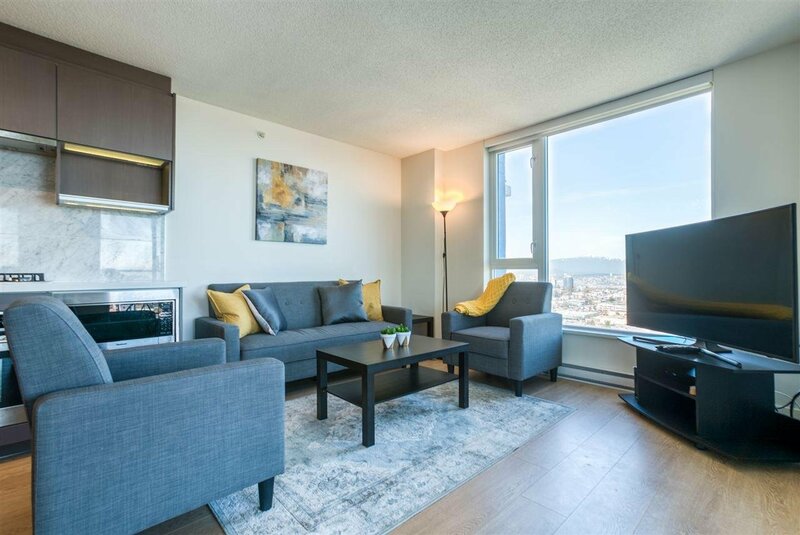 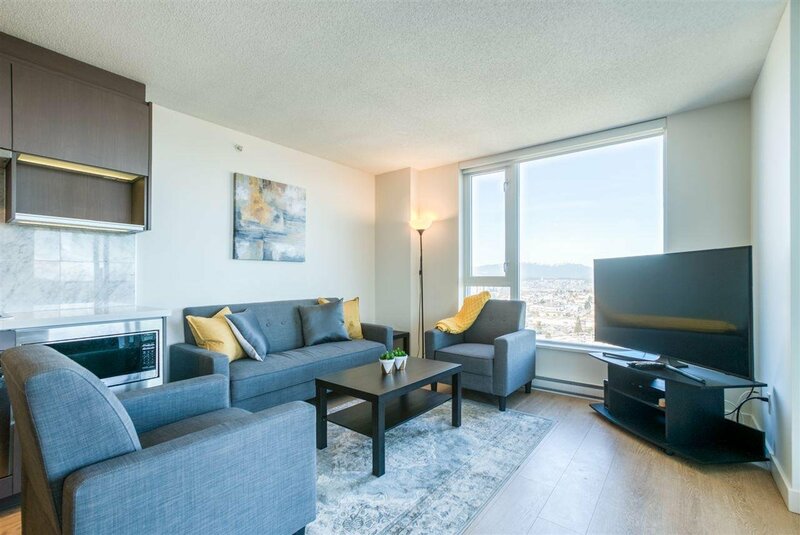 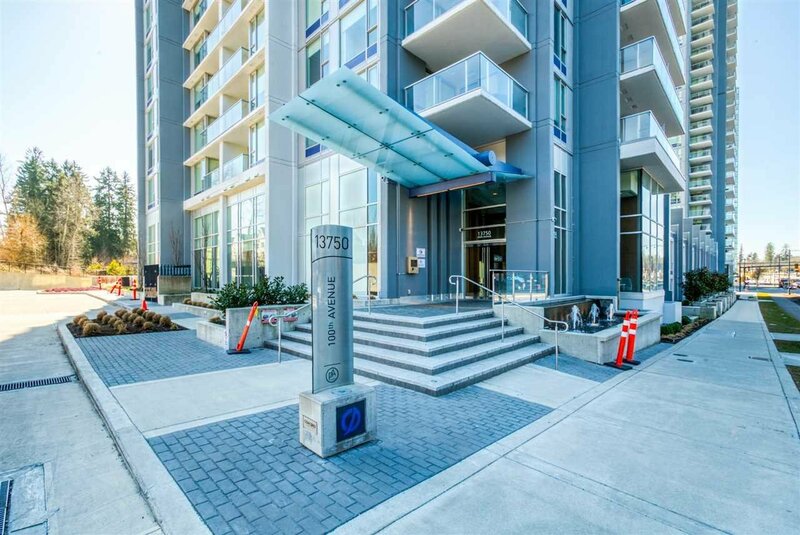 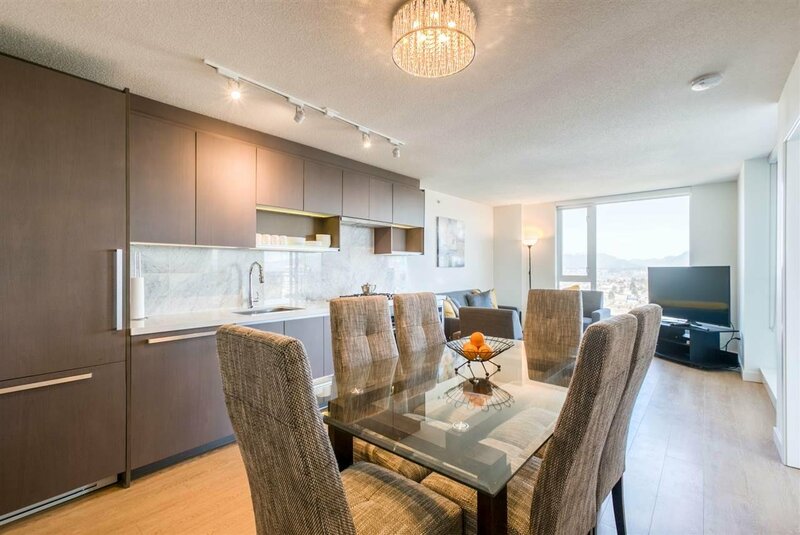 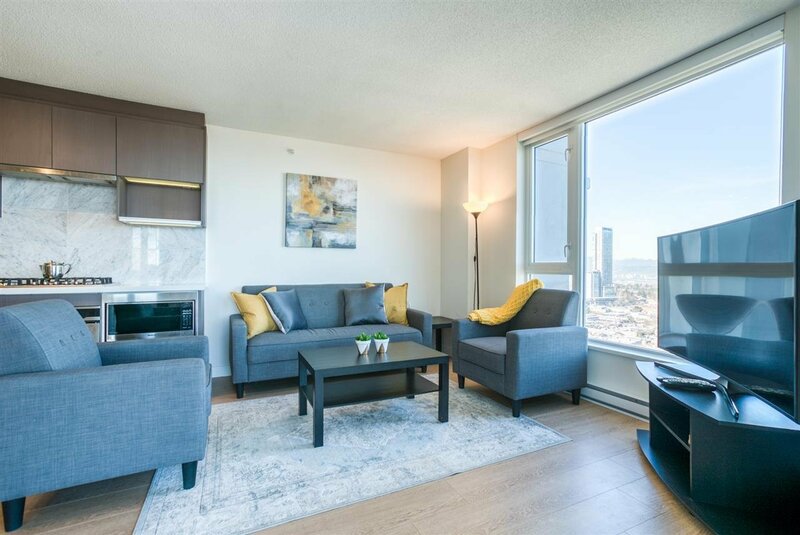 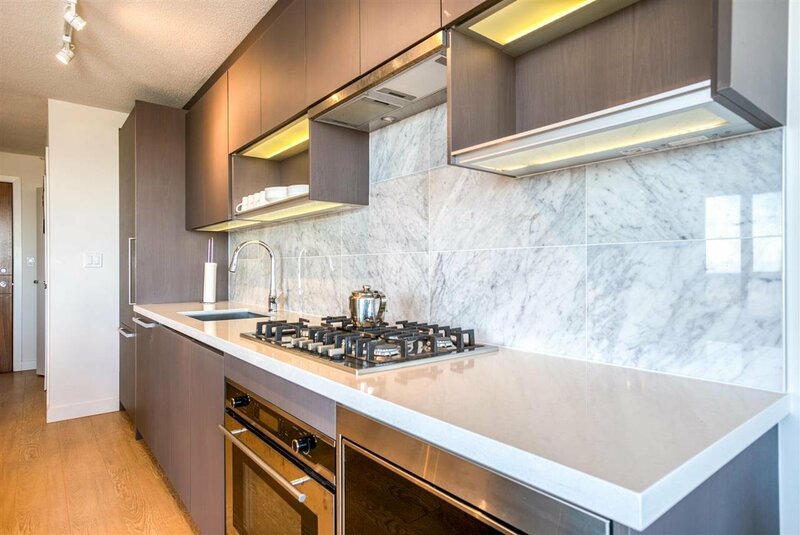 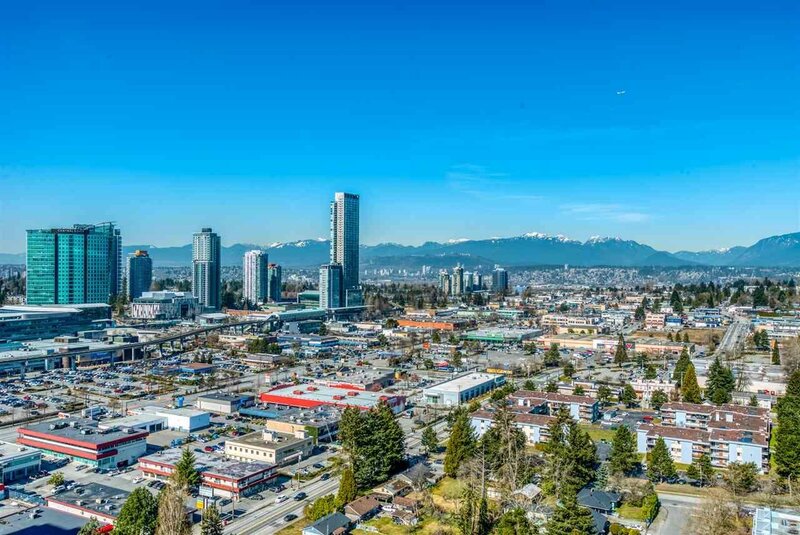 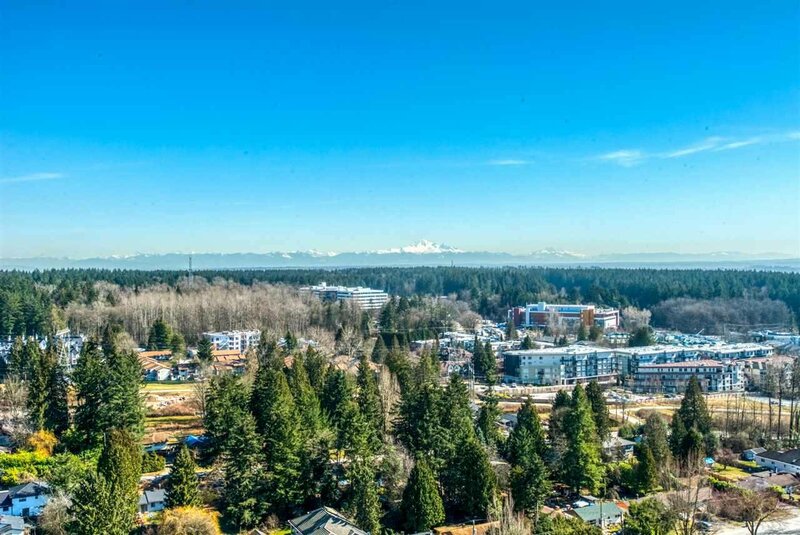 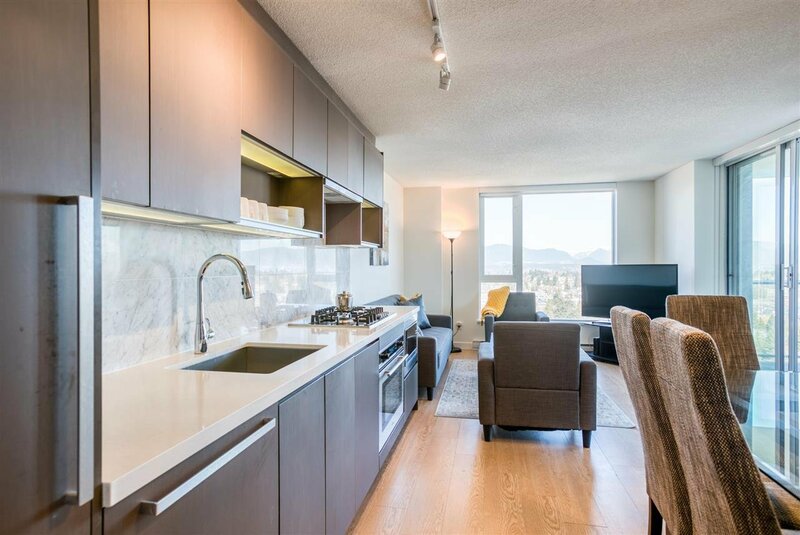 Fabulously located with 1 parking stall & storage locker, steps to King George Skytrain, Central City Shopping & every desirable urban convenience.